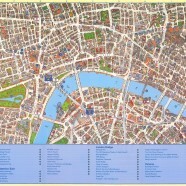 This lovely map, drawn isometrically with individual building detail, was created by Oxford Cartographers for Southeastern Railway back in 2006 as a weekend/tourist map, which is why the full map (below) prominently features London Bridge, Waterloo East and Charing Cross stations, and highlights tourist attractions in the vicinity of these stations only. 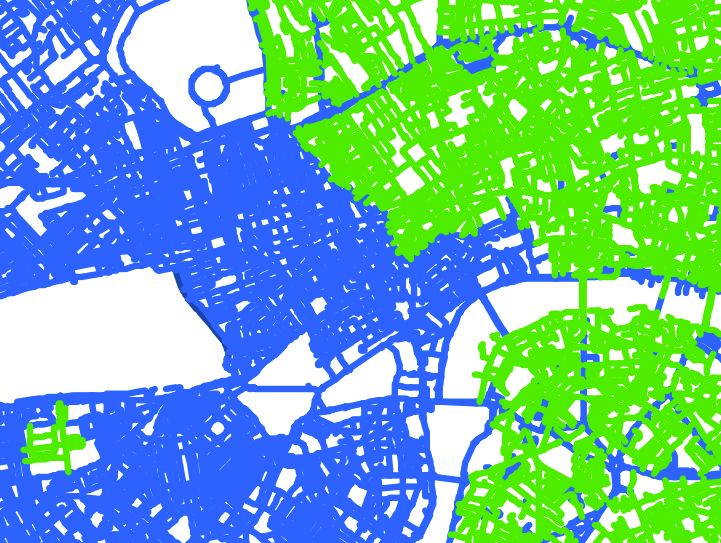 Ignoring these specific modifications, the underlying map is really very attractive. 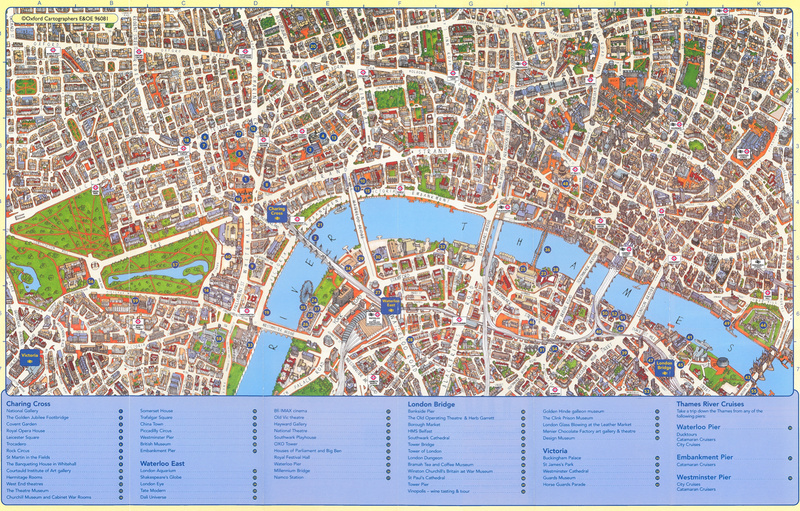 Although the map is 9 years old and London is an evolving city, it is probably still perfectly valid as a tourist map today. 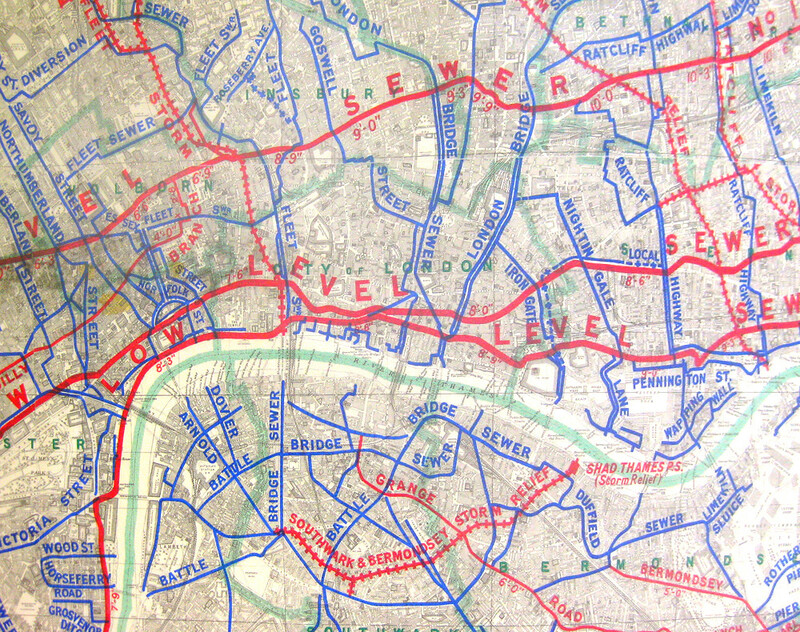 The map has a nice perspective trick – although the buildings appear to be in 3D, and the map appears to be a birds-eye view angled, from the south, it is drawn with slightly larger roads and smaller buildings than in real life, such that the building detail doesn’t obscure the road network, making it still very navigable. A high density of street names also helps with the navigation. 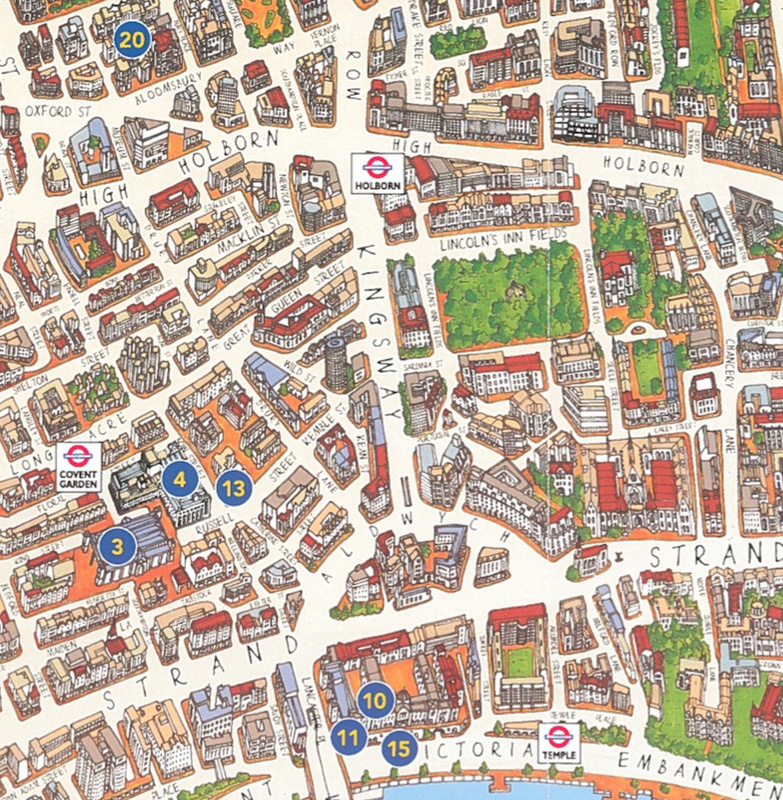 Although this style of map is quite a traditional approach, and “Walkable Streets”-type maps, aka Legible London, are becoming quite fashionable now (Oxford Cartographers are also involved with these styles), there is still a certain charm in this kind of map which makes noisy, grimy central London look, well, rather pleasant. 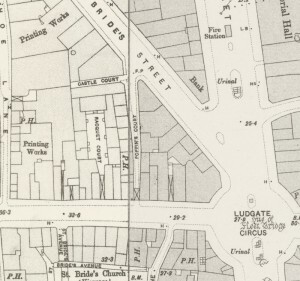 Frustratingly I couldn’t find anything on the web about this map so I’ve scanned it in and reproduced it in full below (low quality) with a higher resolution detail above. If I can help with any images you need, please feel free to contact me. 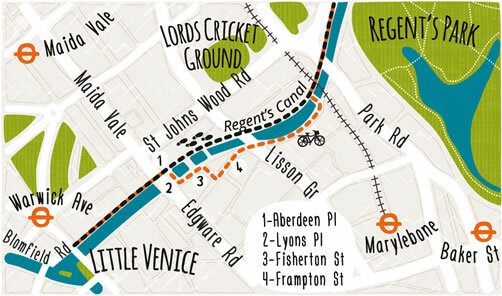 Thank you for the lovely write up of our map. Hi. How could I get a copy of your gorgeous map? how can i get the shape files of this data? i want to import his files in arc gis. 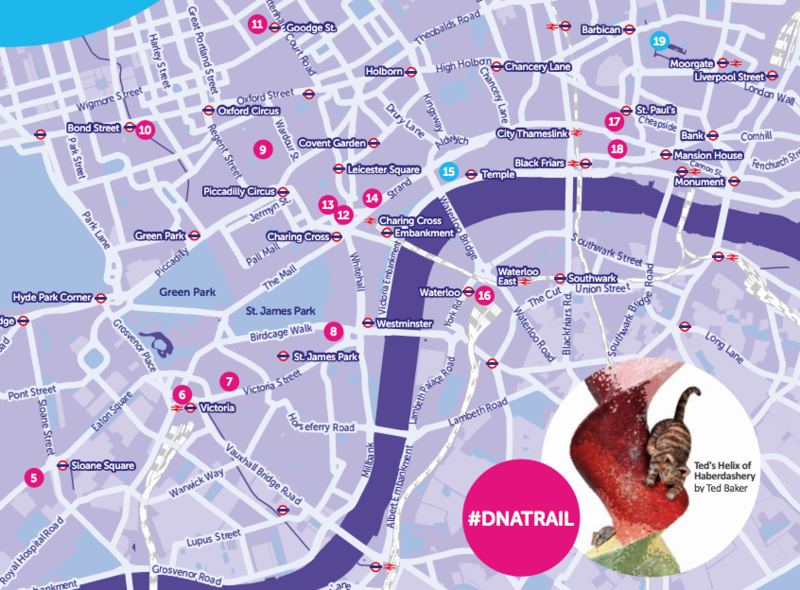 That’s a great way to see London. 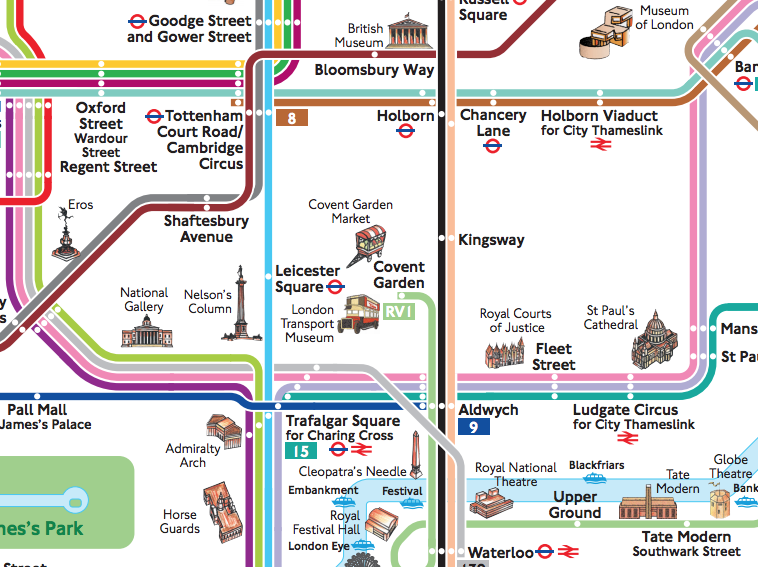 I can use this map on my second London trip with my friends and family. Hello, is there any possibility for you to send me a high quality version? Tks in advance. HI Joao, I’m afraid I only have the one copy. Try contacting Oxford Cartographers, although I suspect it is long out of print. Hi how can I buy your map?